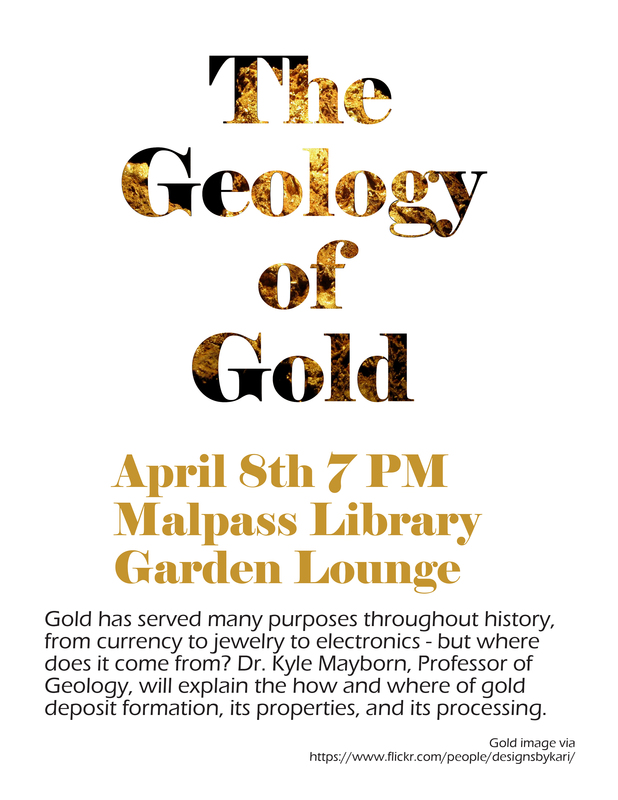 Western Illinois University Department of Geology Professor Kyle Mayborn will present "The Geology of Gold" at 7 p.m. Wednesday, April 8 at the Leslie F. Malpass Library Garden Lounge. The event is open free to the public. 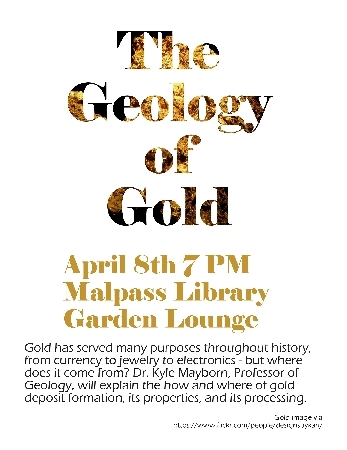 MACOMB, IL — Western Illinois University Department of Geology Professor Kyle Mayborn will present "The Geology of Gold" at 7 p.m. Wednesday, April 8 at the Leslie F. Malpass Library Garden Lounge. The event is open free to the public. Gold is a precious metal that has been valued throughout history. Historically, it has been found in coins, jewelry and other art objects, and today, it is frequently used in electronics, noted Linda Zellmer, government and data services librarian at University Libraries. "The discovery of gold in California and elsewhere in the Western U.S. helped spur westward migration," Zellmer added. "There are even television shows that feature people prospecting for gold in a variety of locations, from Alaska to South America. With gold playing so many important and varied roles in human history, it's hard not to wonder where it comes from and what makes it so special." In Mayborn's presentation, he will talk about how and where gold deposits form, gold's physical properties and gold processing. For more information, contact Zellmer at (309) 298-2723 or via email at LR-Zellmer@wiu.edu.